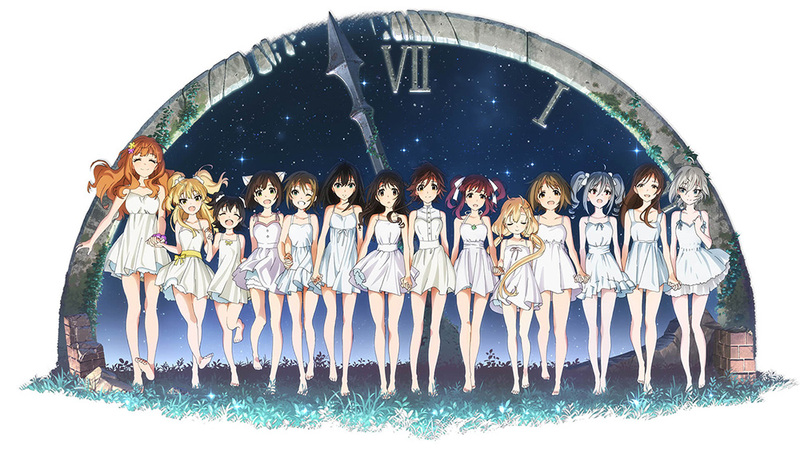 The official website of the anime adaptation of The [email protected]: Cinderella Girls has revealed a brand new visual for the anime’s second season. The site has also revealed the title of the Opening song of the anime. The second season will be beginning with the 14th overall episode of the anime and will be airing from Friday, July 17th at midnight JST (effectively Saturday, the 18th) during the Summer 2015 anime season. The [email protected]: Cinderella Girls is a mobile social game developed by Mobage and published by Bandai Namco Games. The game involves the player to interact with other players, where they need to perform various tasks. The game features a total of 100 idols to be collected, who are represented as trading cards in the game. The game acts out like other social games where you will need to use a form of stamina to do a task – where it is refilled over time. The game has been reported to earn 1 Billion Yen (~ 10 Million USD) per month from in-game purchases of items and idols, and has over 4 million users as of April this year. A live concert of the game with all the voice actresses, [email protected] Cinderella Girls 1st Live Wonderful [email protected]! !, was held at the Maihama Amphi Theater in Chiba Prefecture where the anime adaptation was announced in 2013. The anime aired earlier this year in the Winter 2014/2015 anime season, and a second season will air this July.